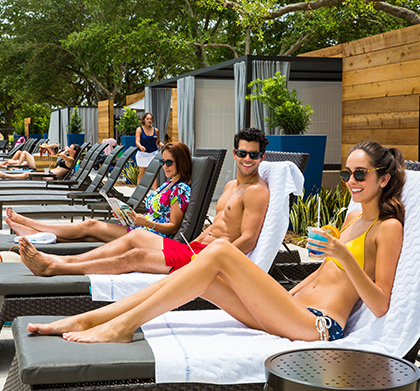 Soak in the sunshine at our swanky marina-side pool with swim up bar, private cabanas and outdoor lounge. 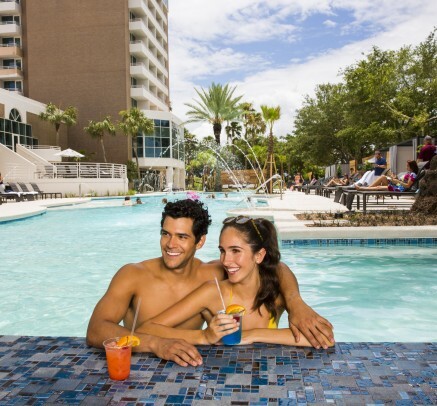 Swim, play, or dip your toes into the 185-foot Oasis Pool, and when you’re ready to come out, wrap yourself in a plush towel and relax atop a reclined chaise lounge. Private cabanas are available too! Refresh over cocktails and conversations with family and friends or swim right up to the bar and order lunch for the gang. Stay tuned for our upcoming events. For cabana reservations please call Adam Folden at (281) 334-1000 ext. 2022 or email at AFolden@sshr.com.